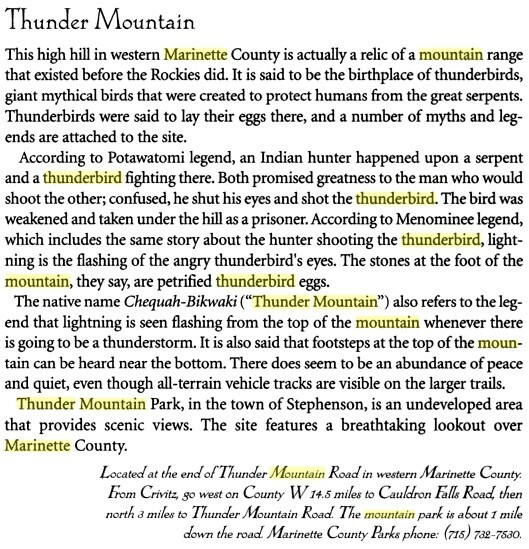 Thunder Mountain is a large hill in Marinette County. I guess from what the articles say, this is the largest (or rather, highest) point in the county. And, apparently, it derives its name from the fact that this area is home to thunderbirds. Here we have a snippet of an article (the link I'll post later) giving the traditional Indian account. Thunder Mountain is only a few minutes drive from my home, about 15 minutes. 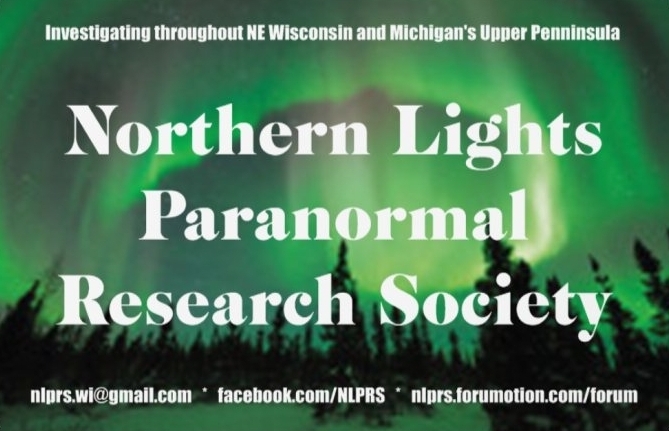 Would be interesting to go and check this place out; if anything, it'd make a nice day for a family outing (perhaps multiple families). Will we find anything of significance? No, probably not. It'd just make for a nice outing, and gives us the chance to roam about. I definitely wouldn't be using my tablet as a camera for this one, that's for certain. Luckily, I have a normal camera as well that I can use without fear of damage.